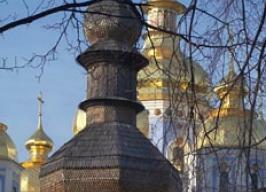 State holidays | See you in Ukraine! Outstanding events, memorable dates that bear national values, and special historical or sociopolitical significance are commemorated in Ukraine as state holidays and are official days off. New Year’s is among Ukrainians’ favorite holidays. The permanent attributes of this holiday are: a fir tree decorated with toys, Grandfather Frost (Did Moroz) and his granddaughter, the beautiful Snow Maiden (Snihurochka). New Year’s children’s matinees are conducted for children in all regions of our country and different entertainment events are conducted for adults. People in Ukraine meet the New Year in noisy, joyful companies by raising their glasses with sparkling champagne at midnight! Christmas is celebrated especially magnificently and beautifully in Ukraine. Ukrainians glorify one of the greatest events in Christian religion – the birth of the Son of God, Jesus Christ. Traditionally, Christmas is a family holiday, and on Christmas Eve, January 6, a festive supper is prepared. According to an ancient tradition, 12 lenten dishes are served on a table and the main dish is sweet “kutya”. When the first star appears in the sky, all family members sit down to supper and greet each other with the sincere greeting: “Christ is Born – Glorify Him!” On January 7 and 8, the celebration “takes to the streets”: during these days, people visit each other and share their joy with their neighbors. In Ukraine, March 8 is traditionally called “Women’s Day” and is considered “The Holiday of Spring and Beauty”. On this day, all men give women flowers and gifts. The joy of the start of spring, seas of flowers, smiling and very attractive women – all of this creates the truly joyful spirit of this holiday. The greatest and the most significant holiday in Christianity remains the Easter Holiday. On the eve of the holiday, on Saturday, people go to church and bless food: “paskas”, which are specific breads, and “krashankas” and “pysankas”, otherwise known as Easter eggs. The art of the Ukrainian “pysanka” continues to impress with its beauty and the exquisiteness of its symbolism. The greeting during the Easter days are the words: “Christ has arisen!” - "Truly has arisen". In the world, May Day has been celebrated for more than one hundred years. In modern-day Ukraine, this Day is a true celebration of spring. Practically everyone with their families and friends go out of town to be closer to nature, and has a traditional picnic. The tradition of celebrating Victory Day is continued to be supported in independent Ukraine, as in the times of the USSR. This is the day of victory in World War II over fascist troops in 1945. On May 9, veterans are honored, honor is shown to those who perished and ceremonial events are conducted. The Holiday of the Trinity, or the Descent of the Holy Spirit, is celebrated by Christians to recall the events that took place on the fiftieth day after Easter. On this day, people in Ukraine decorate their homes, churches and churchyards with green branches and flowers. On June 28, 1996, the Verkhovna Rada of Ukraine adopted the first Constitution of the independent Ukrainian state – the Main Law. Adoption of the Constitution is the original passport for Ukraine as a young, sovereign, democratic state, and an important step in ensuring the rights of the people and citizens. Celebration of Constitution Day is of a primarily official nature. Various ceremonial events take place in the capital and regions on this day. On this very day in 1991, Verkhovna Rada of Ukraine adopted the Act of Proclamation of Independence of Ukraine, which was affirmed by the Ukrainian people by their voting in a referendum. This nationwide holiday unites Ukrainians around the world by their feeling of national pride and belief in their own strengths.